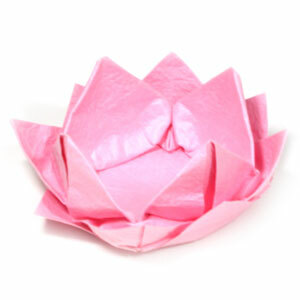 This page is for those who want the instruction to fold a new origami lotus flower. This new origami lotus flower is a modified version of the traditional origami lotus. It is a twelve-petals version of origami lotus. The essential folding technique involved with this model is cushion-fold which will be applied for three times. You may use any kind of paper to fold this new origami lotus. Here I am using the same color paper for both the front and the back sides. 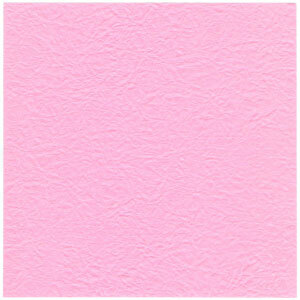 But you could use one side color only paper without any problem. Make sure the paper that you use is a square (all sides are equal and all the angles equal 90 degrees). 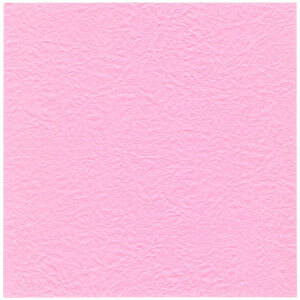 This dimension of the paper is 20cm x 20cm.